Home > Uncategorized > Flash Furniture Mid-Back Black Leather Executive Swivel Chair with Flared Arms Only $34.23 + Free Shipping From Amazon! 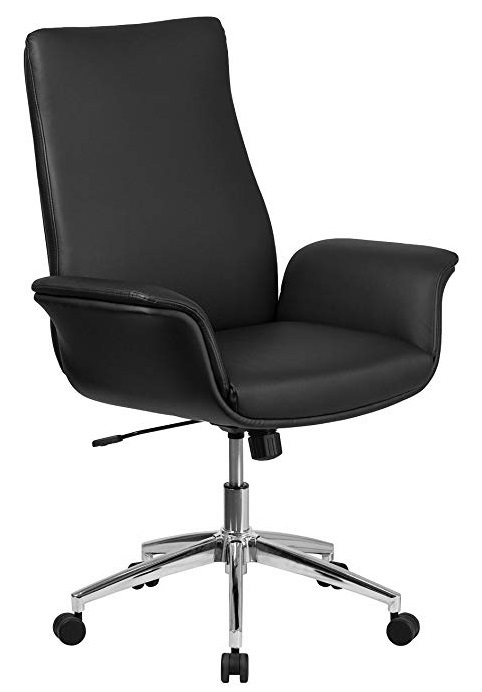 Flash Furniture Mid-Back Black Leather Executive Swivel Chair with Flared Arms Only $34.23 + Free Shipping From Amazon! December 1, 2018 Comments Off on Flash Furniture Mid-Back Black Leather Executive Swivel Chair with Flared Arms Only $34.23 + Free Shipping From Amazon! Amazon has the Flash Furniture Mid-Back Black Leather Executive Swivel Chair with Flared Arms only $34.23+ Free shipping (dropped from $117.46 over the past month)! Squatty Potty The Original Bathroom Toilet Stool, White, 7″ Only $11.99 + Free Shipping From Amazon!